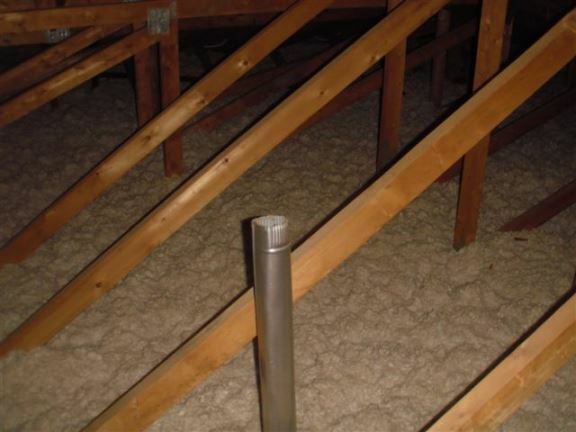 The maintenance issues I find are typically things that the previous homeowner has neglected for some time. 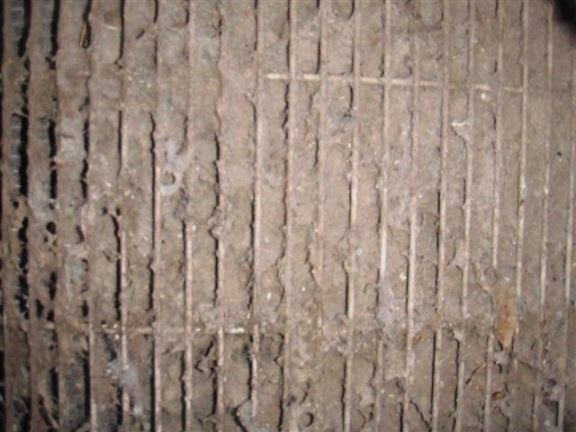 Sometimes these may seem to be trivial issues; for example a furnace filter that has not been cleaned or replaced. 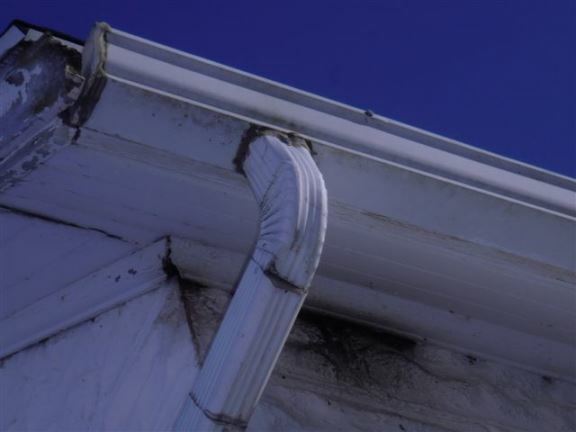 But even issues like this should be a concern to a homebuyer, since it is a sign that the previous homeowner overlooked routine maintenance on their home. 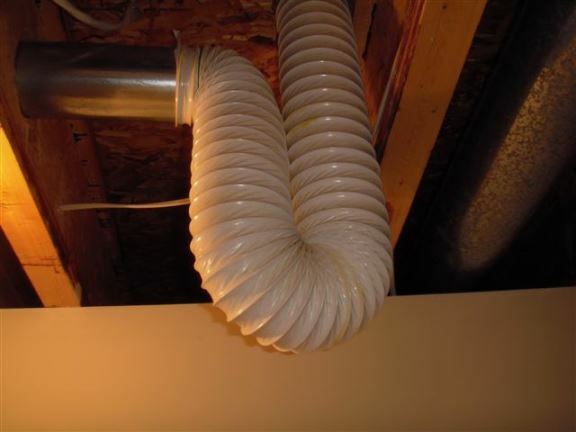 A clogged filter may also cause damage to the furnace itself. The maintenance category also covers aspects of the home that should be corrected by the new buyer to prevent problems in the long run. 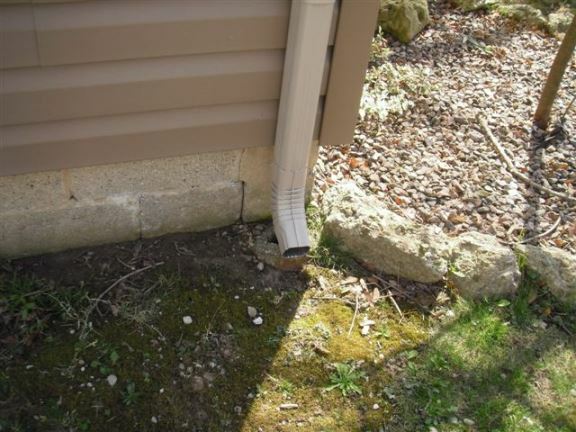 For example, a sidewalk that slopes toward the house will always result in more moisture in and around the foundation, so the buyer should plan to correct something like this before it becomes a serious problem. 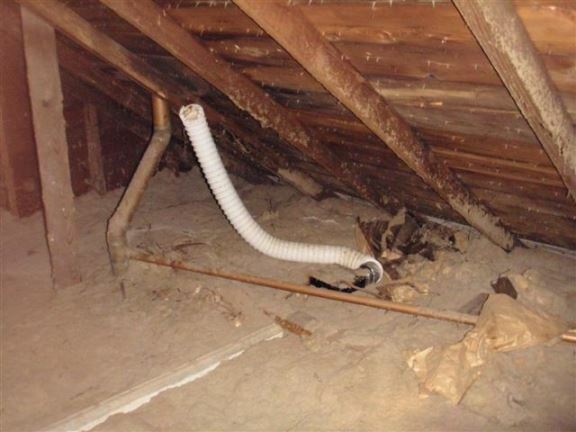 The bath fan vents into attic instead of outside. 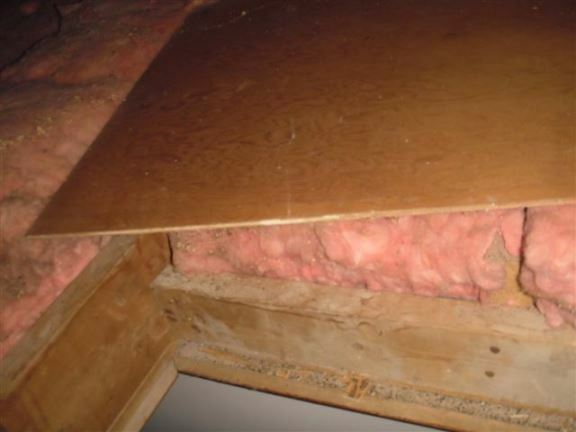 This can lead to moisture problems including mold and rot. The exhaust pipe should also be insulated. 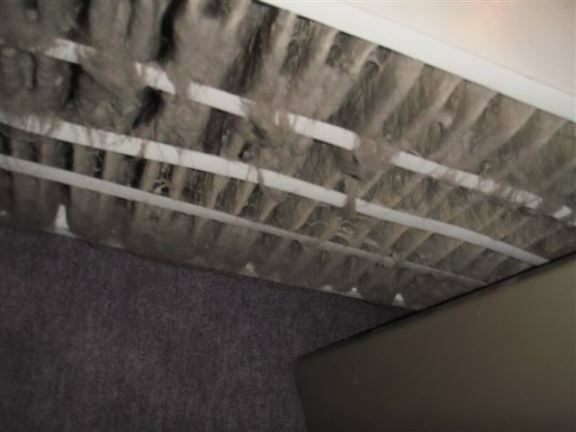 This furnace filter was so clogged that it caused the furnace to overheat and shut down on high-limit safety. 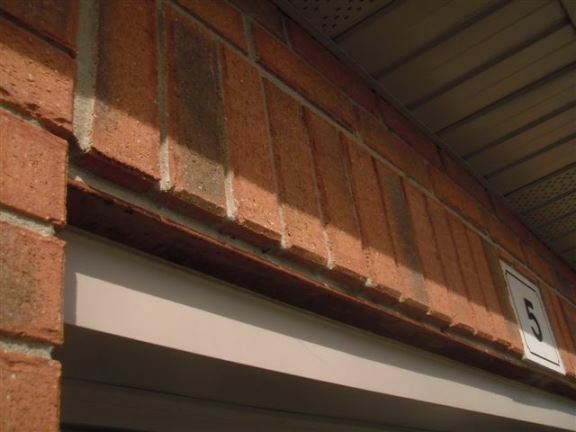 This downspout dumps water too close to house and should be extended to avoid moisture problems. The dryer vent should always be solid metal, and this one also has a loop which will trap moisture. 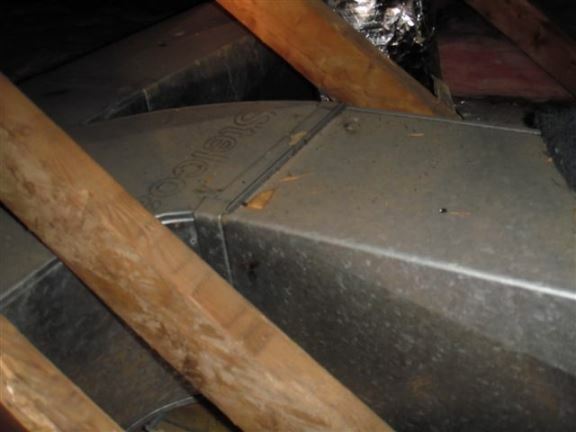 This heating ductwork in an attic should be insulated for better efficiency. This exhaust fan pipe should vent to the outside and be insulated. 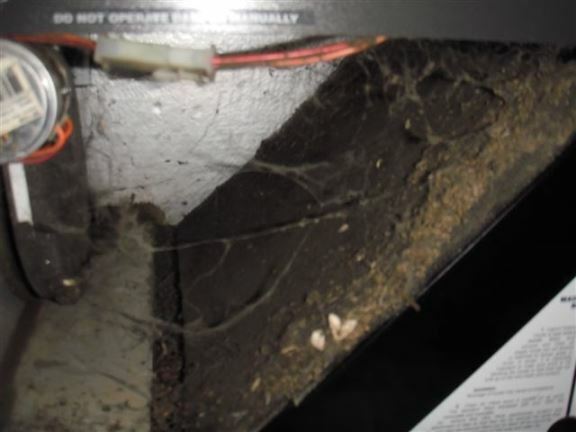 This Heat Recovery Ventilation (HRV) filter is filthy; few homeowners realize this requires maintenance. Metal lintels above windows and doors almost never get painted and will rust. 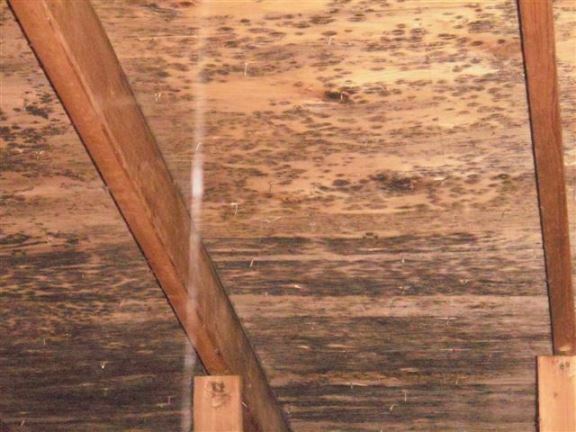 Mildew or mold is present on the attic roof sheathing. This indicates too much moist air is escaping from the house into the attic and too little ventilation. 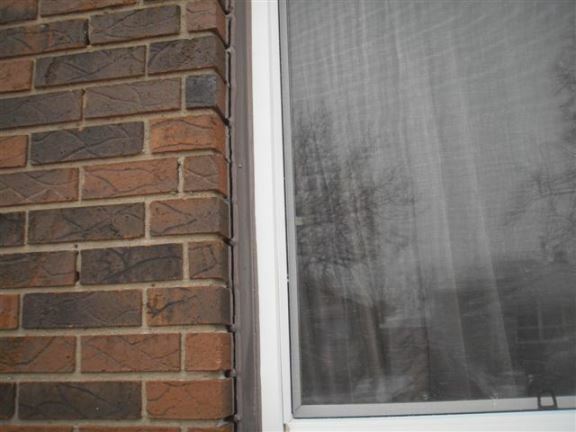 Window and door caulking is required on this house to reduce heating costs and prevent water leakage. 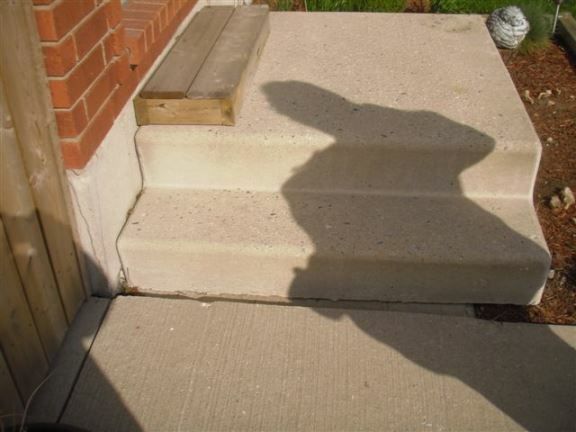 No step or guard rail creates a safety issue. This outside air conditioner grill is completely clogged. 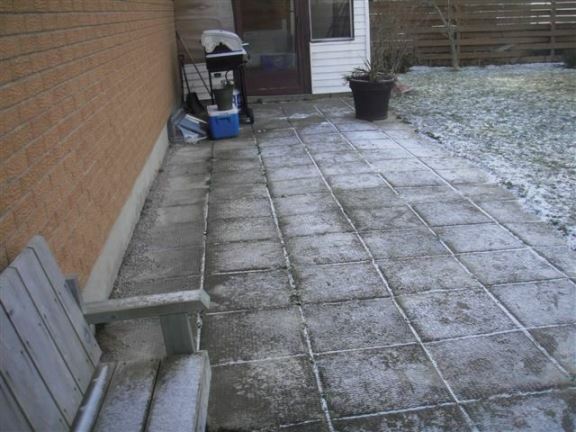 This patio is sloping towards the house, causing basement seepage issues. 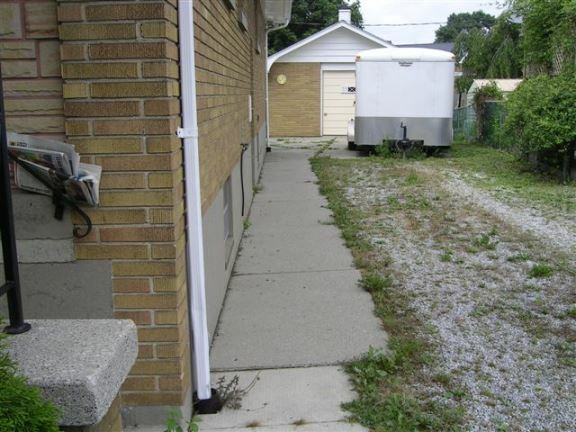 This sidewalk slopes towards the house, causing basement seepage issues. 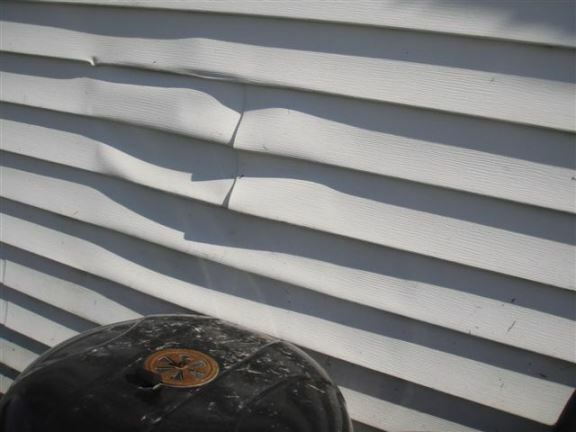 This siding was melted from a barbecue. This is very common. 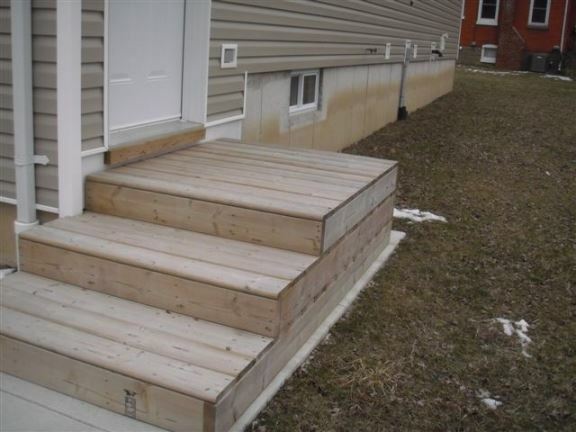 These steps have settled and an extra small step has been added. This attic hatch should be insulated and sealed. 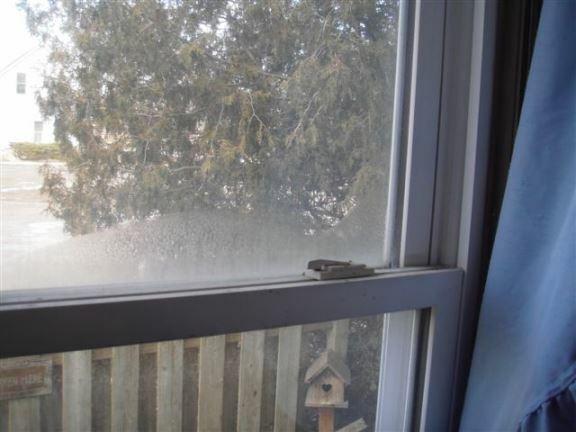 Moisture between the window panes shows that the window seal has failed. 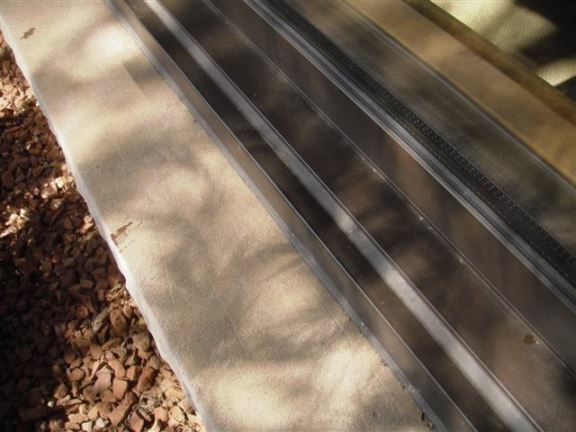 These window sills slope backwards, so rain water does not shed as it should. You can see the area under eave where bats are getting into attic. Notice the dark stains on concrete blocks.